Jesus said “I am the light of the world,” and several other “I am” statements. What do these mean? The Gospel of John is the only Gospel that contains all seven of Jesus’ “I am” statements, and each one is significant and had special meaning which only the Jews could understand. 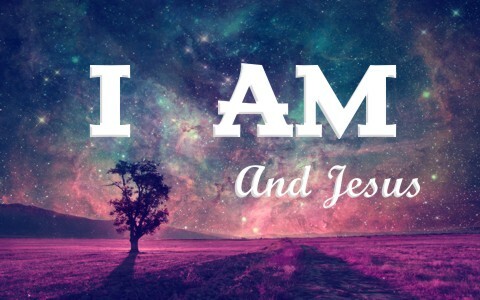 There is another “I am” statement in the Book of Revelation, but these “I am” statements in the Gospel of John point back to the Old Testament and also into the kingdom. They actually prove that Jesus is God and was the God of the Old Testament. That’s what the Apostle Paul seemed to understand as well. When God revealed Himself to Moses in the burning bush, He told Moses His name is “I AM,” and “Say this to the people of Israel: ‘I AM has sent me to you’” (Ex 3:14b). I AM means the self-existent one and always “being,” unlike we who at one time didn’t exist. Only after birth did we come into being, and we are human, finite beings, but God is and always was, since He inhabits eternity. Paul acknowledged that ancient Israel “all drank the same spiritual drink. For they drank from the spiritual Rock that followed them, and the Rock was Christ” (1st Cor 10:4), which explains why Jesus could authoritatively say, “Truly, truly, I say to you, before Abraham was, I am” (John 8:58). The Jews knew what Jesus meant and that’s why they tried to stone Him, but Jesus hid Himself from them because it wasn’t His time (John 8:59), so Jesus was before Abraham. Like us, there was a time when Abraham did not exist, so Jesus directly tells them (and us) He existed before Abraham, therefore by application, He must be God (and He is!). Just after Jesus fed the 5,000, which if you counted the spouses and children, could have been 15,000 or more, they followed Him, but not for the right reason, so He told them “you are seeking me, not because you saw signs, but because you ate your fill of the loaves” (John 6:26). They only wanted more bread for their stomach, so Jesus said, “Do not work for the food that perishes, but for the food that endures to eternal life, which the Son of Man will give to you. For on him God the Father has set his seal” (John 6:27), and “I am the bread of life; whoever comes to me shall not hunger, and whoever believes in me shall never thirst” (John 6:35), so “All that the Father gives me will come to me, and whoever comes to me I will never cast out” (John 6:37). That is bread unto eternal life. With the Pharisees and other religious leaders there, Jesus said, “I am the light of the world. Whoever follows me will not walk in darkness, but will have the light of life” (John 8:12). For those who don’t believe, whether they realize it or not, they are walking in darkness and in the ways of their father the Devil, however, such were we too. The light of Christ brings us out of darkness and into the light, and for those who believe, they will no longer walk in darkness. I Am the Door or the Good Shepherd could both apply to John 10:7 where Jesus says, in speaking about His sheep, “I am the door of the sheep” (John 10:7). He guards the door to the sheep pen, by lying down at the door, as shepherds used to (and some still) do. That’s why He says, “I am the door. If anyone enters by me, he will be saved and will go in and out and find pasture” (John 10:9). No one gets in the pen without going through the door, and that door is Jesus Christ. Shortly after saying He was the door, He then adds, “I am the good shepherd. The good shepherd lays down his life for the sheep” (John 10:11). The sheep are helpless without the shepherd because the shepherd leads them to green pastures, leads them to still waters (Psalm 23) because sheep are easily frightened by moving water, but this Shepherd says willingly, “I lay down my life for the sheep” (John 10:15). Jesus, in saying, “I am the way, and the truth, and the life” (John 14:6), was declaring He was not one of many ways, but the one and only way (Acts 4:12). He is also “the truth,” not “a truth” or “having truth,” and we know He was full of grace and truth (John 1:14). Grace without truth could lead to a license to sin, but truth without grace can end up as legalism. Jesus, as “the truth,” means Jesus is truthful in everything He says. Finally, Jesus says He is the life, meaning He is the resurrection and the life. We can read about Lazarus and know that is true. Jesus was the only way to life for Lazarus, and that’s the truth, because there is no other way than through Jesus to receive eternal life (John 6:44). Do you believe this? The vine was symbolic of ancient Israel. So much so that it was actually engraved in the temple and other various places. Israel was to be a fruitful vine, however, Jesus, as the Vine, is the only way a branch can produce fruit. Without abiding in Christ, the true Vine, we can do nothing. He is the source of the fruit of our branches, but unless we abide in Him, there may be no further use for the branch (John 15:6), however, “If you abide in me, and my words abide in you, ask whatever you wish, and it will be done for you” (John 15:7), and in this way, Jesus says, “my Father is glorified, that you bear much fruit and so prove to be my disciples” (John 15:8). Notice it proves we are His disciples if we bear “much fruit.” This fruit is borne in many different ways (Matt 25:34-39; James 1:27), but little or much, there should be fruit. If not, there is no abiding in “the Vine,” Jesus Christ, and that’s why nothing is the result (John 15:5). John adds yet one more “I Am,” of a sort, in the Book of Revelation, where he wrote about seeing Jesus; “I fell at his feet as though dead. But he laid his right hand on me, saying, “Fear not, I am the first and the last, and the living one. I died, and behold I am alive forevermore, and I have the keys of Death and Hades” (Rev 1:17). Some glorious day, we will see Jesus “coming with the clouds, and every eye will see him, even those who pierced him, and all tribes of the earth will wail on account of him. Even so. Amen” (Rev 1:7), and there is no mistake about Who He is. That’s why the earth will wail when they see Him. They know its Judgment Day…the Judgment Day of the Great I AM Who declares; “I am the Alpha and the Omega,” says the Lord God, “who is and who was and who is to come, the Almighty” (Rev 1:8). That means today would be the best of days to trust in Christ if you haven’t done so already (2nd Cor 6:2). Don’t delay because He could return at the very next minute…and by then, it’s too late (Rev 20:12-15). Previous post: What Does the Bible Say about Diligence? Next post: Why Doesn’t God Heal Everyone?